The next part of our journey is Ollantaytambo to Machu Picchu by train. After a morning of blissful soaking in the hot springs, we say goodbye to the team from Lares trek. Leandro and Pablo will take their horses and llamas, and return to their village in the Lares Valley. The rest of the team will travel some of the way with us and bus back to Cusco. We continue on to Ollantaytambo. The quaint village of Ollantaytambo is another of our favourite places in Peru. Two Inca ruins overlook the town where Incas retreated when the Spanish conquered Cusco. Much of the town is still the same as it was at the time of the Incas. Traditionally dressed locals hang out around the narrow paved streets and the little town square. They hope to pick up some work with the trekking companies, as many of the treks to Machu Picchu start from here. The atmosphere around the souvenir shops, local restaurants and parts of the old town is reminiscent of over 500 years ago when it was built by the Incas. We have lunch at Café Mayu while waiting for our train. It is next to the railway platform and part of the El Albergue hotel next door. El Albergue is known to serve some of the most delicious food in the Sacred Valley. We have homemade vegetarian fettuccine, salad and mugs of craft beer. 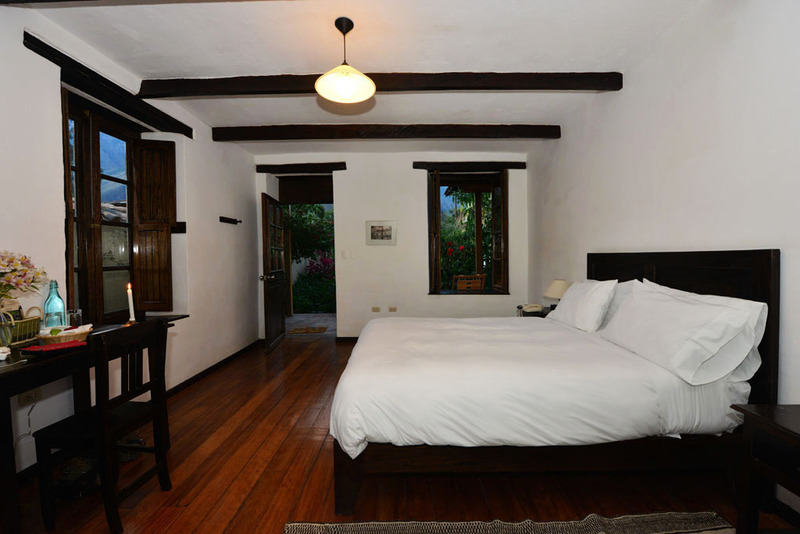 We can’t wait to come back as we are staying at El Albergue on the way back from Machu Picchu. Traditional locals hang out around the narrow paved streets and the little town square. Train or trekking is the only way to get to the Machu Picchu town of Aguas Calientes. Ollantaytambo to Machu Picchu by train takes about two hours. We travel on the Vistadome. It is so comfortable, and coffee, tea, drinks and snacks are served as snow-capped mountains, crystal clear rivers and green jungles zoom past the large windows. The town of Aguas Calientes is built into a mountain and lies in a valley below the ruins. The location is picturesque though the town itself is touristy and expensive. With a guarantee of over 4000 tourists a day going through the town, the service is often lacklustre. There are no colourful characters from the local villages because of the town’s isolation, so the quaintness and charm of Cusco and Ollantaytambo are certainly absent. 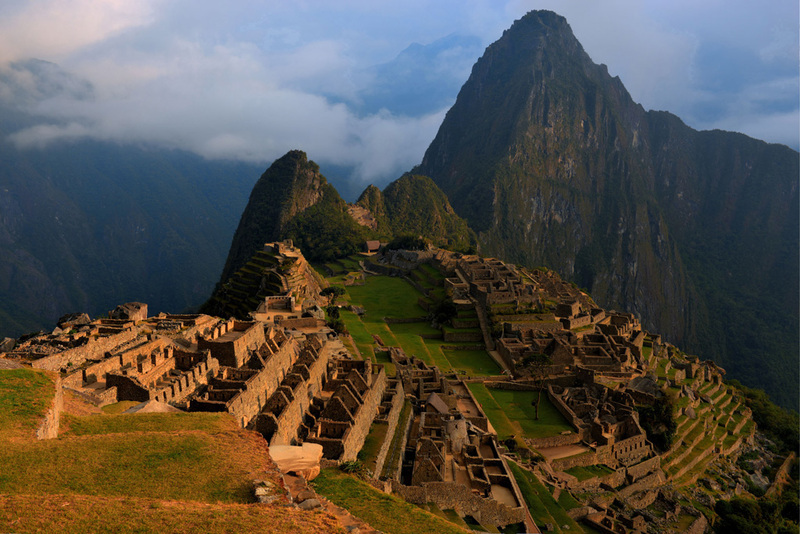 Though it’s one of the most travelled sites in the world Machu Picchu still has a mysterious presence. The magnificent ancient city, shrouded by clouds blends into the environment of mountains and tropical forest. It’s easy to imagine why it was never discovered by the conquering Spaniards. 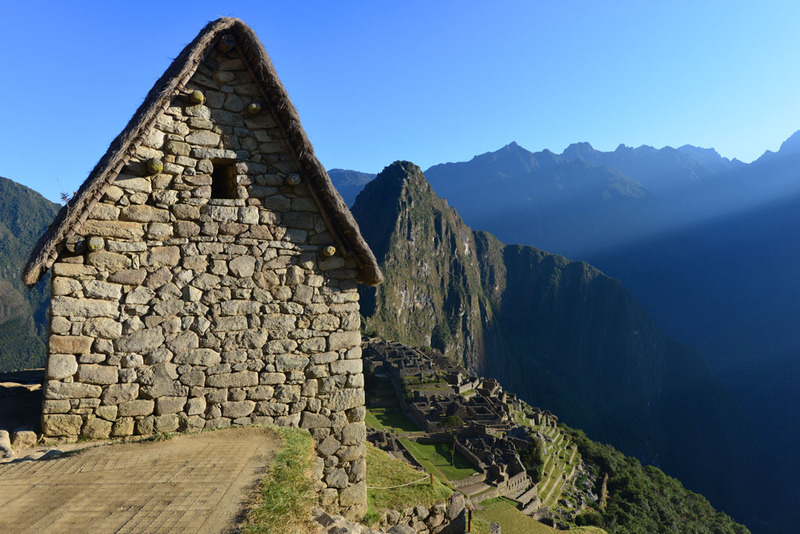 We spend the morning exploring the ruins and envision the grandeur and life of the Inca times. Llamas mingle in the ruins. This cute baby is only two weeks old. Our first destination is the ‘Guardhouse’. It’s about a 5-minute walk uphill. Using the map that’s given to visitors on entry, it’s easy to navigate around the ruins. Here we appreciate the panoramic views with no other visitors below. The Sun Gate ‘Inti Punku’ is about a 45-minute walk uphill. It was the main entrance to Machu Picchu and imperial guards controlled who entered from here. Hikers on the Machu Picchu trek arrive from this direction and here they get their first view of Machu Picchu. Though an overall scenic view of the surrounding area, Machu Picchu looks so far away from here. 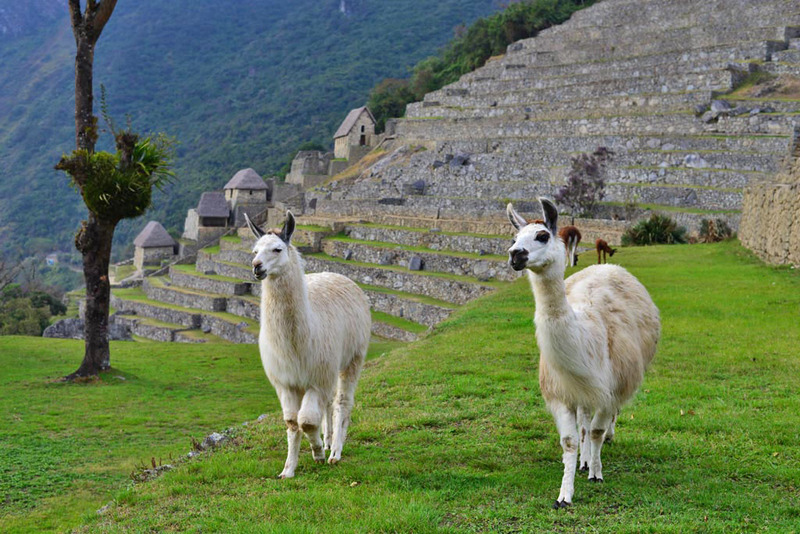 Llamas at Machu Picchu ruins. The agricultural terraces and Inca storage sheds are in the background. The Temple of the Sun and the water system never ceases to amaze us because of their advanced thinking for the time. It can’t be missed with its smooth and curved walls. To think at the time of the Incas there was no cement or anything like that, yet the large stones fit all perfectly together and still remain this day. The temple was used for a solar observatory and the stone at the centre would predict the summer and winter solstices (when the sun is at its greatest distance from the equator), by how the sun’s rays reflected off the stone. This would help them predict the weather patterns so they could plan the planting and cultivation of their crops. The water system is another example of how ahead of their time the Incas were. A canal was built to bring the water up from the rivers below; from the canal, the water flows through a series of 16 fountains. In this area, adorable Llamas mingle and socialise amongst the ruins and they are oblivious to the thousands of tourists. During our visit, there are two adorable babies, only two weeks old, one snow white and the other chocolate brown. 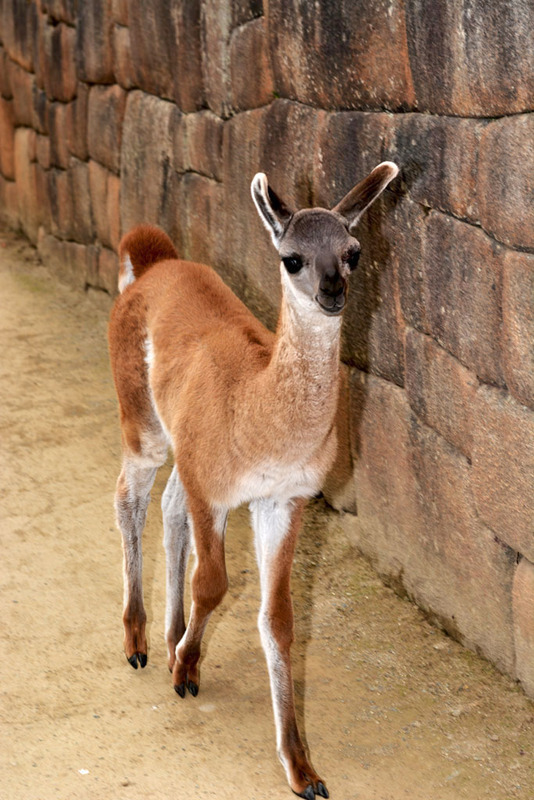 Make way for baby llama at Machu Picchu! To be among the first at Machu Picchu, visitors need to arrive at the Aguas Calientes bus stop no later than 4 am. It’s early but necessary to get the ultimate photo of the ruins with no other tourists and nice light, especially in the high season. The ruins open at 6 am, and the first bus departs at 5.30 am. Buses continue to pick people up, but there can be a backlog in the early morning. At 4 am we arrive at the bus stop and end up on the third bus. To get to Machu Picchu ruins early, it is essential to stay overnight here. We stay at the Waman Hotel which is close to the train station and the bus stop for Machu Picchu in the morning. 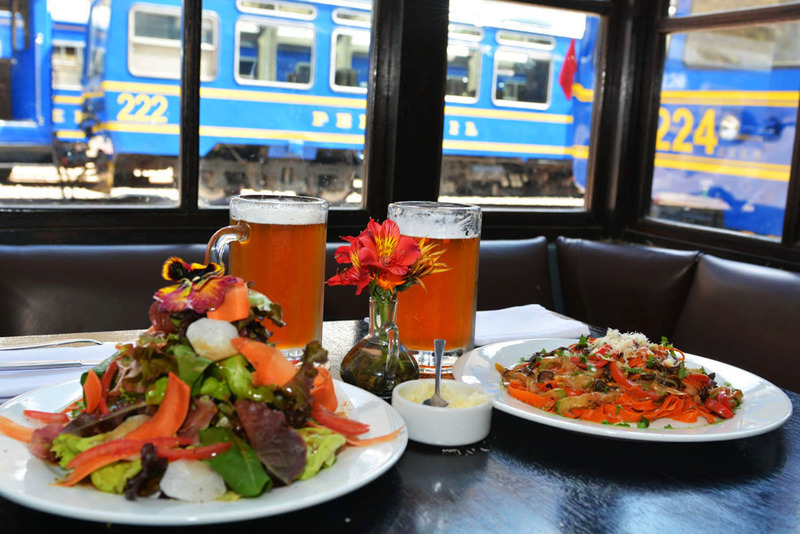 There are hundreds of restaurants in Aguas Calientes, with many of them offering the same cuisine. Though not specialised vegetarian, our favourites are The Tree House and El Indio. The front seat on the train! On our train journey back to Ollantaytambo, we have the very front seat! The view is just stunning and this completes a fantastic trip revisiting Machu Picchu. We stay in Ollantaytambo before travelling on to the jungle. Our accommodation is at El Albergue Hotel. It’s beside the train station platform and oozes character. Our room is gorgeous and we love the colonial architecture, exposed beams, timber floors, and the huge bed with the soft warm and cosy doona. It has beautiful gardens and a view of the snowy mountains in the Andes. The town square is a 400-metre gentle uphill walk from the railway station. From the main square, the ruins are only a few minutes’ walk. The terraces of these ruins are spectacular and this is where the Incas defeated the Spanish. They flooded the plains below, forcing the Spanish to withdraw. 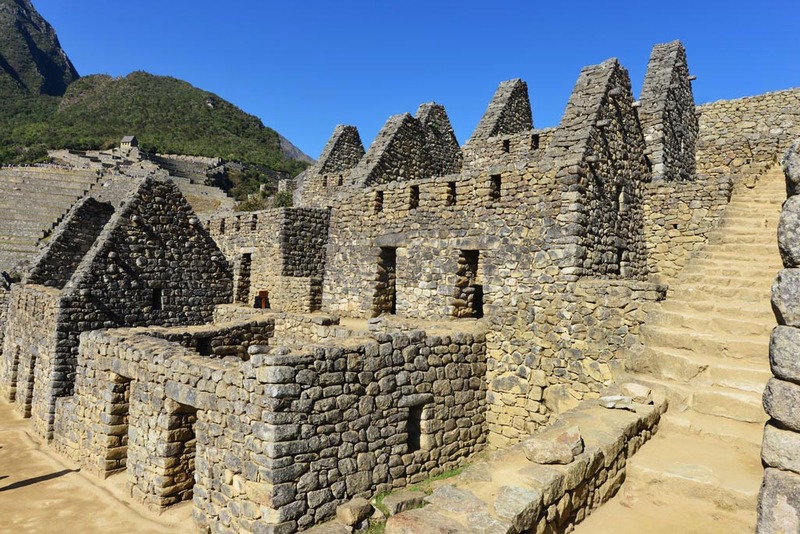 These ruins are worth visiting and one of the best in the Sacred Valley. Ollantaytambo is also a great base for some hikes and treks. One is the 6 km hike to the ruins of Pumamarca which follows an old Inca trail from Ollantaytambo. The well-preserved ruins were once a checkpoint for the Incas. The food at El Albergue is delectable and one of our highlights is dining here. They have many vegetarian options and the fresh organic fruit and vegetables come from their own garden. 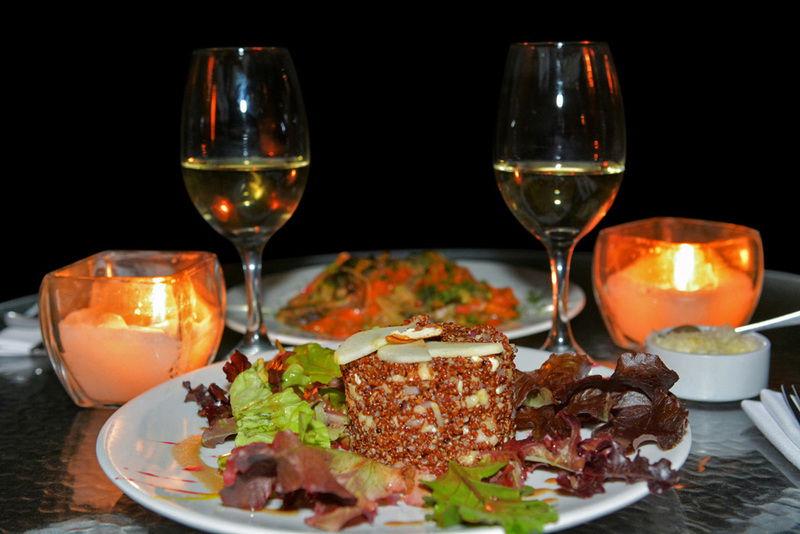 On our last night, we enjoy a bottle of wine, homemade pasta with a fresh quinoa salad with apple and blue cheese. 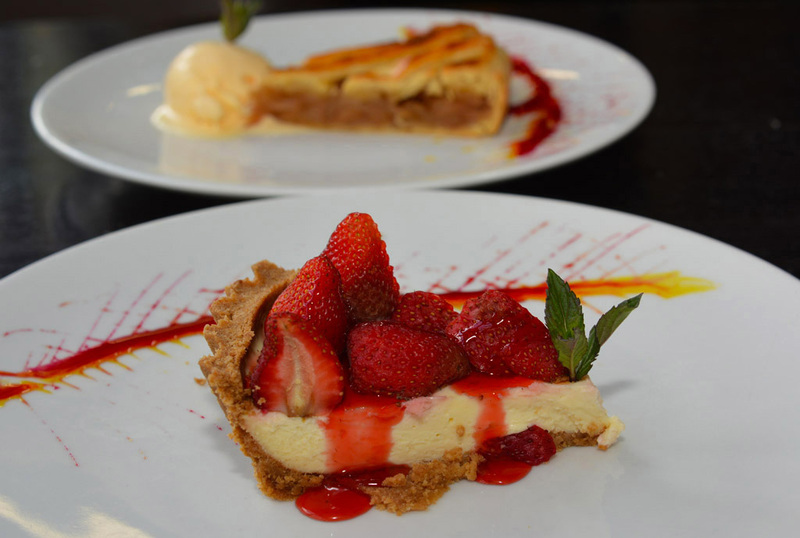 Homemade apple pie and ice-cream and fresh strawberry cheesecake finish our meal. 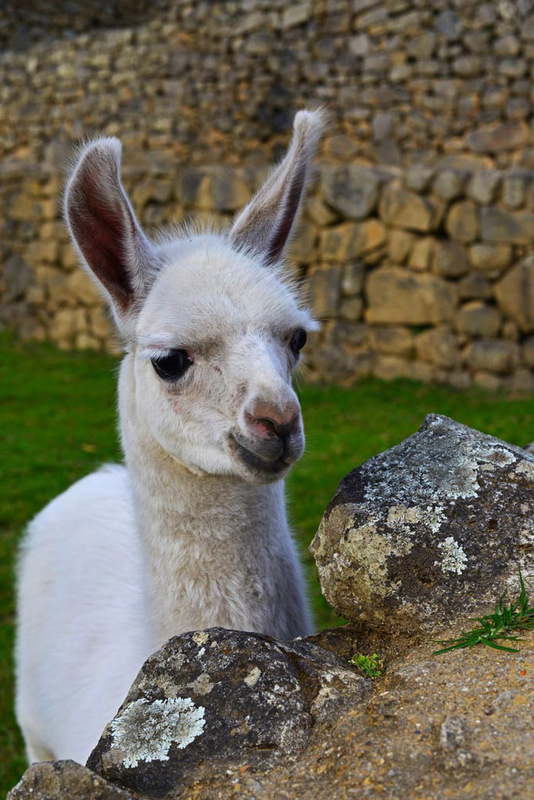 We travel with Alpaca Expeditions, an awesome local Peruvian company who commit to social projects and improving the lives of children in Peru. 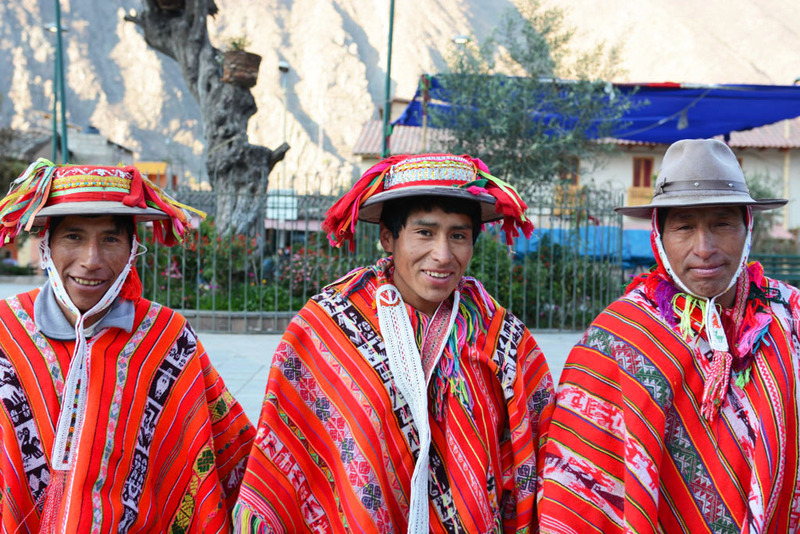 Their guides are the best in Peru. Thank you, Henry, for the greatest tour of Machu Picchu! Though one of the most travelled to sites in the world Machu Picchu still has a mysterious presence. Thank you for sharing such a nice photography blog with us. The view of Machu Picchu from the Guardhouse is unbelievable and Llamas two weeks old baby looking so cute. 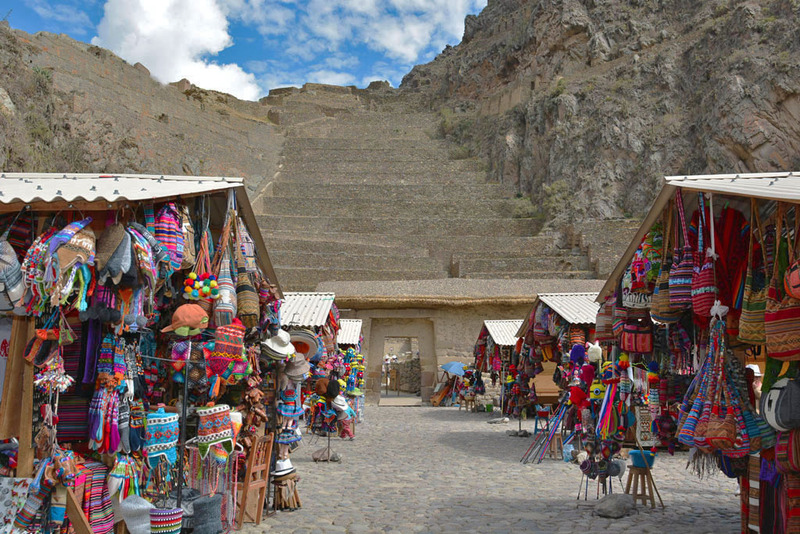 The Ollantaytambo is amazing historical place in peru and you take awesome photo of ruins with market. Thanks for your comments Karan. Ollantaytambo and Machu Picchu should both be on the list when visiting Peru. We love Ollantaytambo.It’s one of our favourite places in Peru. What a magnificent photographic tribute to the Incas and their land. 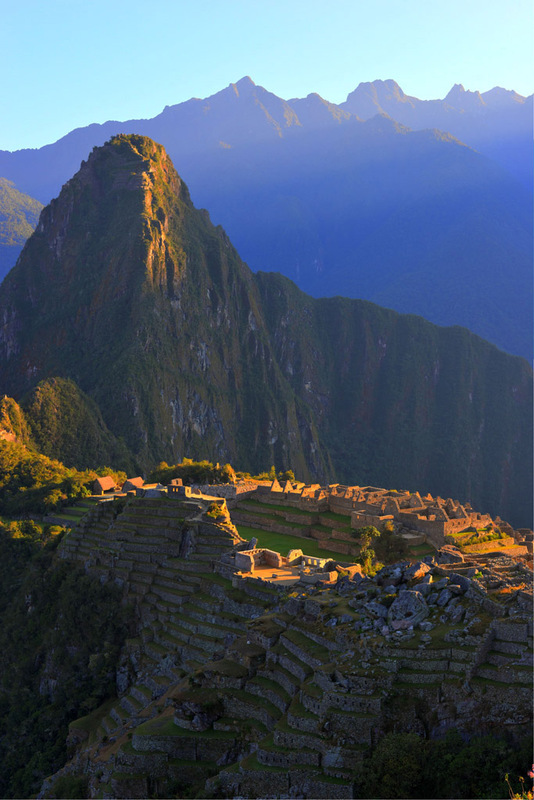 Machu Picchu certainly remains a site of mystique while showcasing the incredible effort humans are capable of. The front seat on the train from Machu Picchu to Ollantaytambo looks like it is worth making an effort and getting in line an extra half hour early. Almost like driving yourself to a destined visit to the forefathers. Stunning! The water system at Machu Picchu reinforces how advanced ancient civilizations were. Evidence of similar drainage systems have been found in the ruins of Mohenjodaro and Harappa in India should you ever be lucky enough to visit them. I’d love to see you photograph those ruins. A completely different site, a completely different set of people, a completely different culture… and yet, so much in common. This is the first I’m reading about Ollaytaytambo and we’ll be sure to put it on our itinerary now. Thank you for the hotel and restaurant tips! Keep up the great blog. Hi, Pooja. Thank you so much for your comment and information. Machu Picchu certainly keeps its mystique no matter how many thousands visit and really shows the amazing human feats of the past. Ollantaytambo is like a hidden gem as most visitors only travel through to catch the train. If staying there, you get to experience a different atmosphere in the late afternoon and night when the crowds disappear. We did visit India years ago, but only for a short time and have always wanted to go back. We loved the people and culture, not to mention the beautiful vegetarian food. It is a vast and fascinating country and we are really interested in the Jain temples. We just googled Harappa and Mohenjo-daro ruins and they have us intrigued! Sounds like a deal to me! Thanks for the offer. We will keep in touch and let you know in advance when we do decide to travel to India. It will be great to meet up. Thank you for giving us this info about Ollntaytambo. I’m actual planning to fly there from Lima & as I have altitude sickness, this would not be as high as Cusco. After a day I would go to Machhu Pichu & miss Cusco altogether. Thanks for your hotel tips.